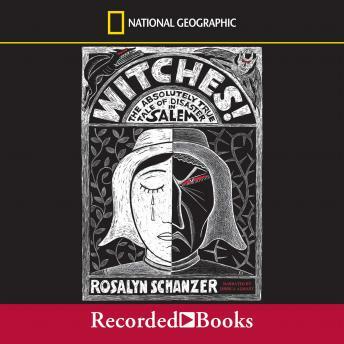 Award-winning author and illustrator Rosalyn Schanzer's book Witches! was named a School Library Journal Best Book and a Chicago Public Library Best of the Best. Witches! recounts in electrifying detail the true events of the 17th-century witch trials in Salem Village, Massachusetts. After two girls exhibit strange behavior, the colonial town's doctor concludes their symptoms are the result of witchcraft. Even today, the chilling events of this period remain one of the most disturbing passages of U.S. history. I rate this book 4 stars it's really confusing for me in only in 7th grade but it was on my summer reading list..! !